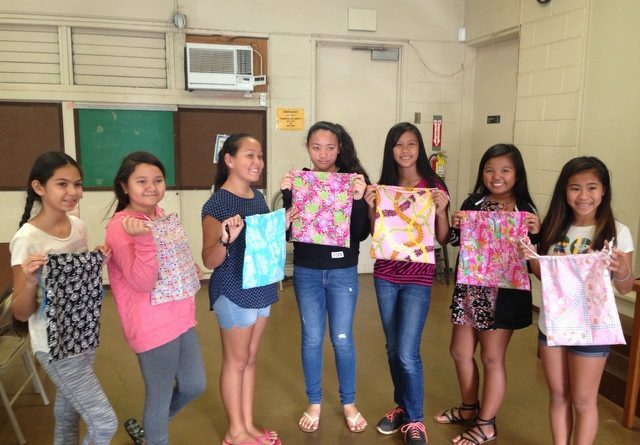 4-H Report by Mahina K. Atenza – The Maui Wailani Diamonds 4-H Club held their sixth meeting on January 14, 2018 at the CTAHR Extension Service Building on UH Maui Campus. During the meeting, the girls learned that their Tommy Bahamas tour and luncheon will be in February or March. They also all did a temperature check on the Teach-In prep and instead of the next months sewing and business meeting they will be practicing their Teach-In demo. The Diamonds were thrilled to find out that an article was published in the Maui News about the 4-H club that visited Hale Makua to bring holiday cheer to the patients. The center was very grateful for all the love and gifts that were given to the patients. 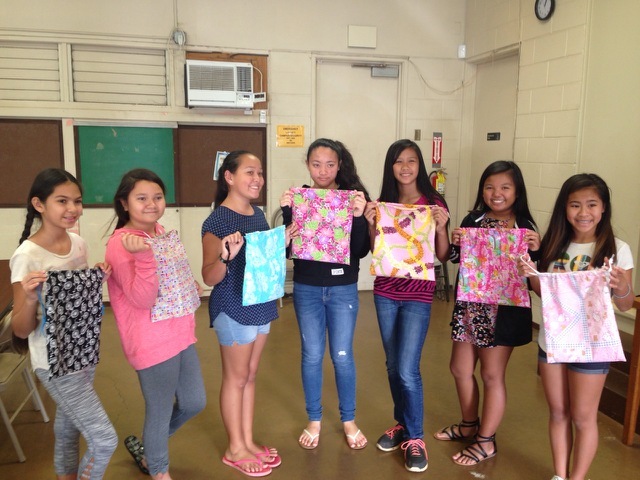 Next, the team jumped right into sewing, and everybody was pleased to have completed their drawstring bag projects. To end the day, the girls had a blast playing the “pyramid cup game” and enjoyed Ono snacks and beverages.